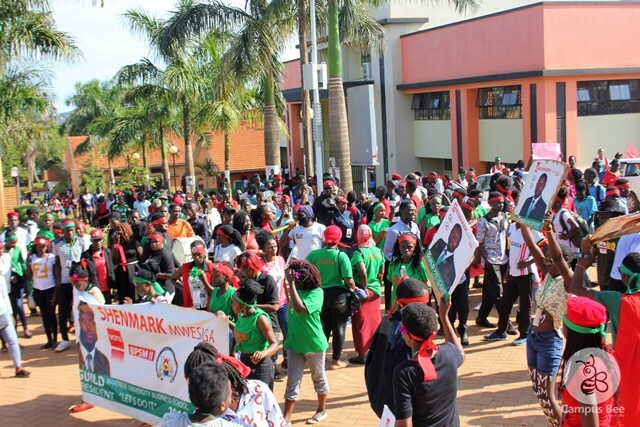 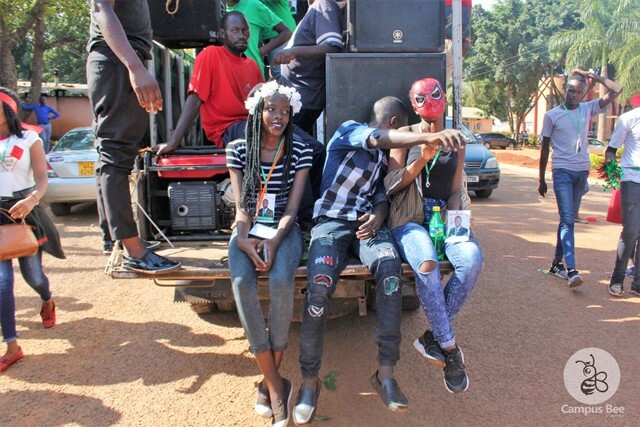 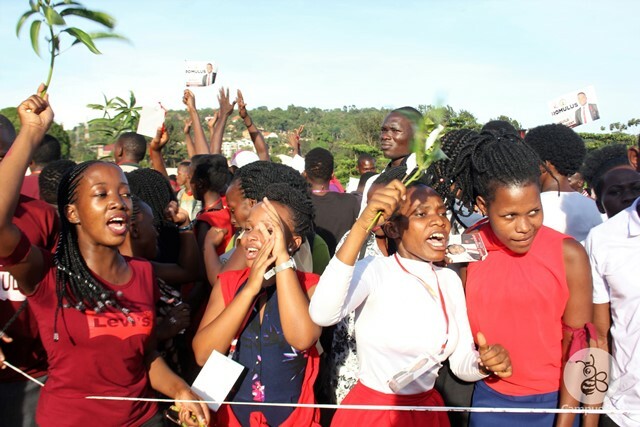 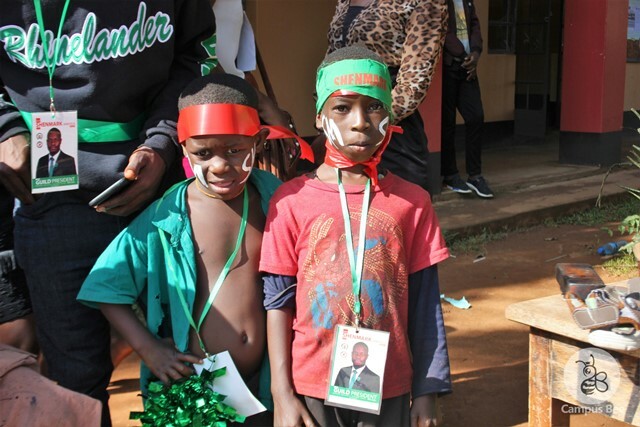 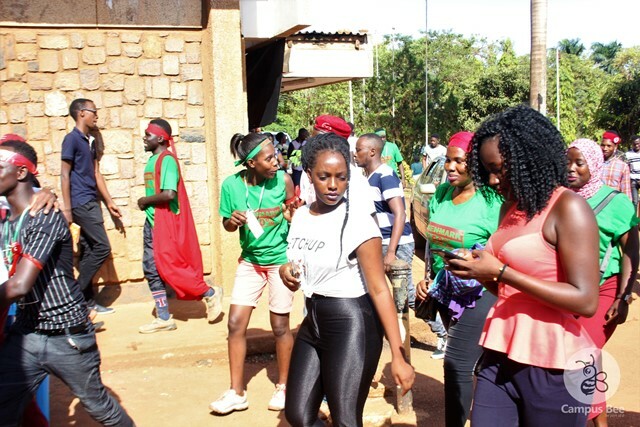 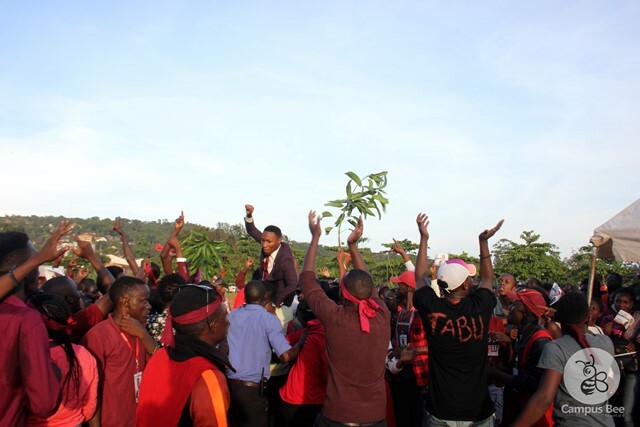 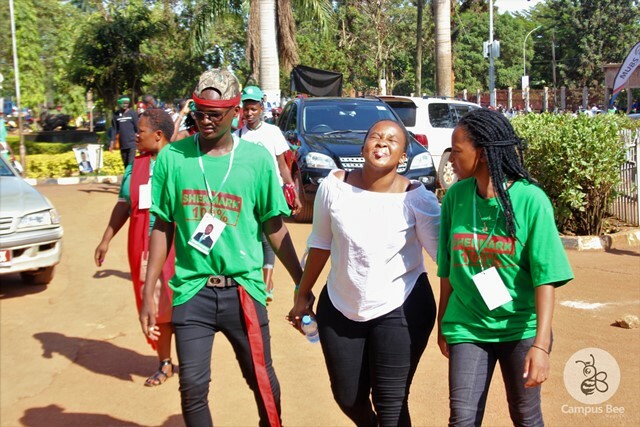 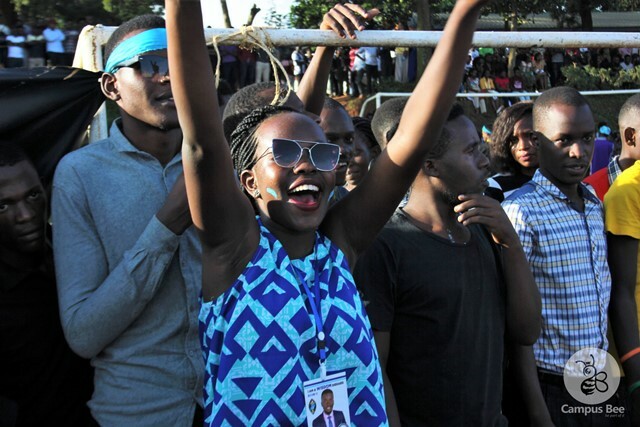 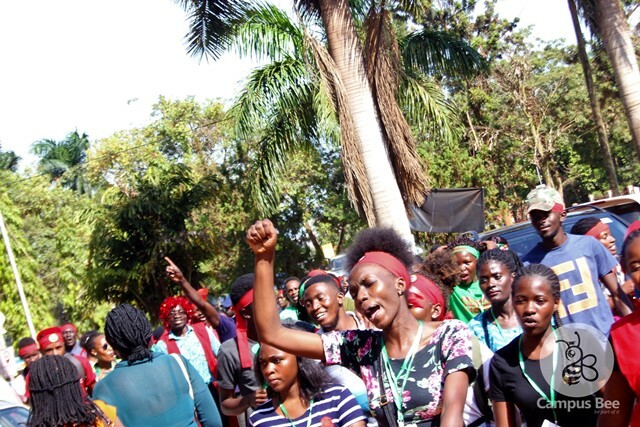 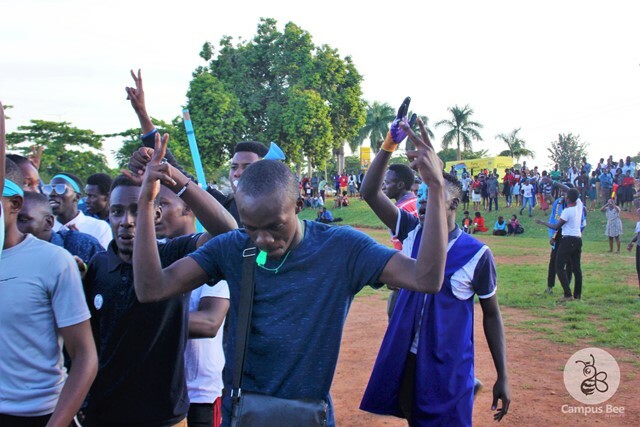 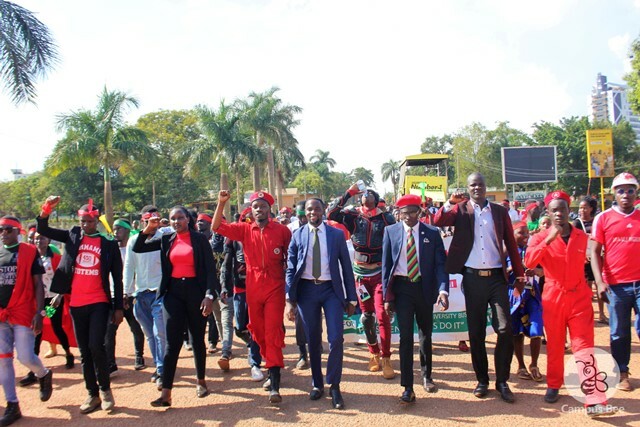 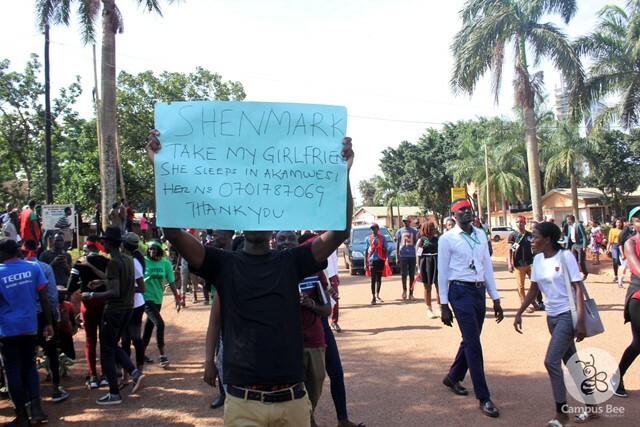 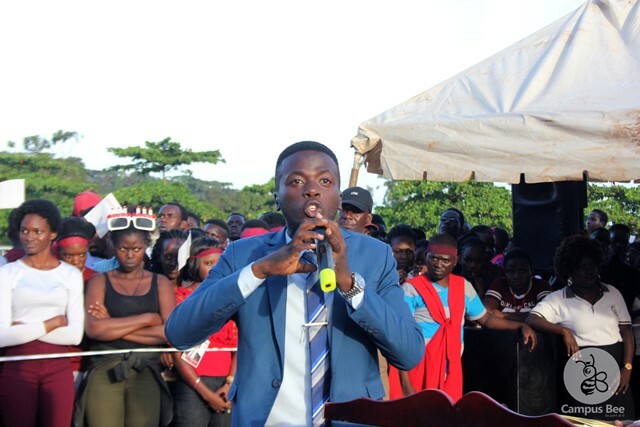 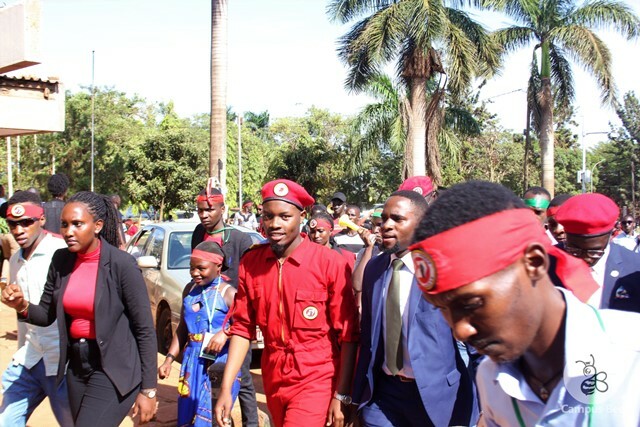 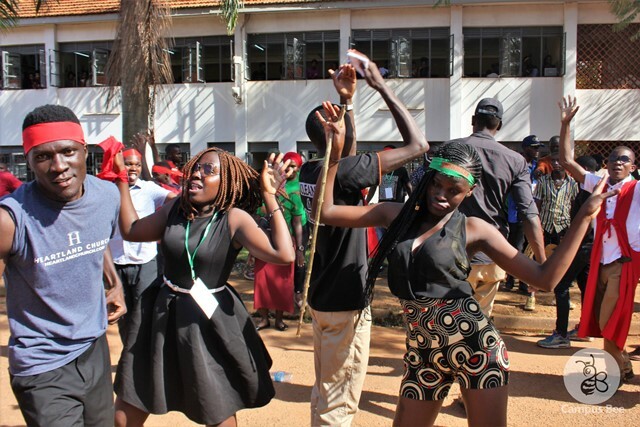 Makerere University Business School (MUBS) yesterday held their final guild presidential rally ahead of the school’s elections scheduled for today. 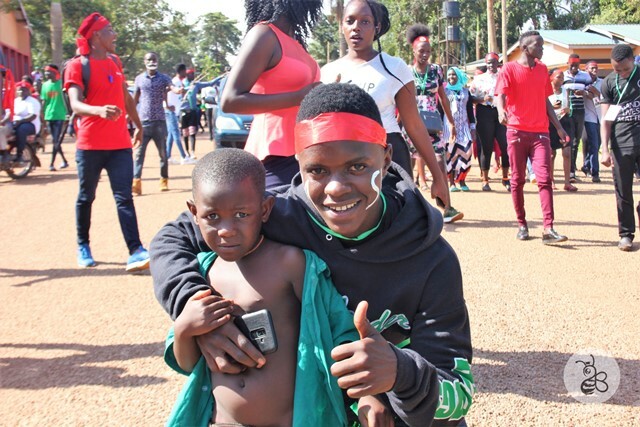 Fans from different camps were yesterday spotted matching through the university’s premises alongside their respective candidates. 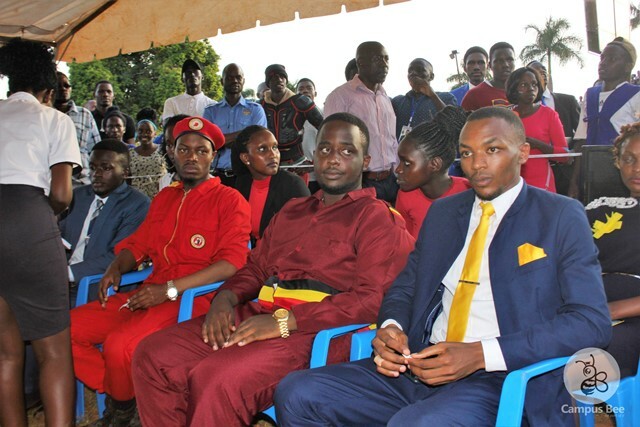 All the four strong candidates; Mwesiga Shenmark (UYD), Tusingwire Romulus ( Independent), Wisdom Ndinumukiza (FDC), and Aine Sabiiti Douglas (NRM) turned up for yesterday’s rally. 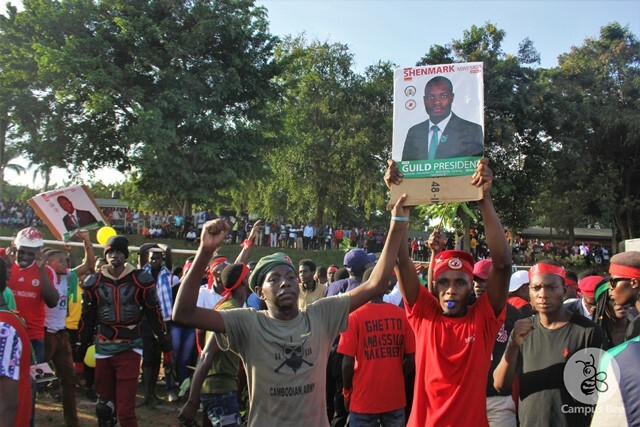 The campaigns went on smoothly until later in the evening when chaos erupted. 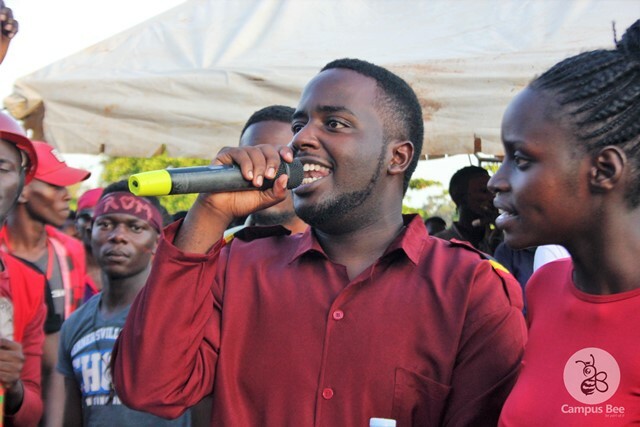 Drama kicked off when the FDC camp pleaded to the electoral commission to deny UYD’s Mwesiga from joining the rally because he showed up late. 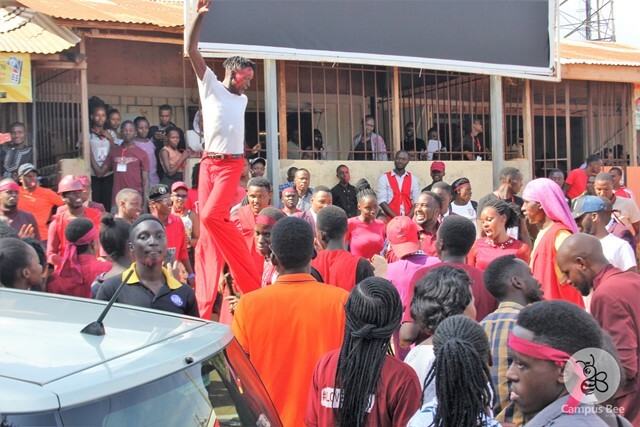 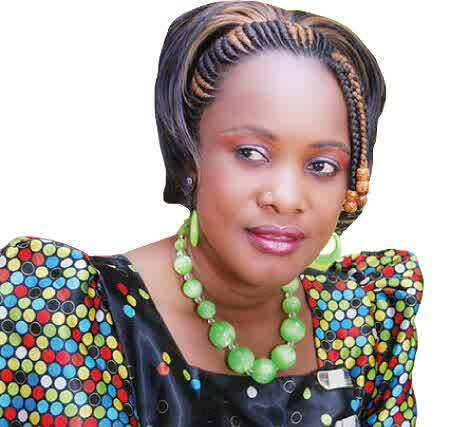 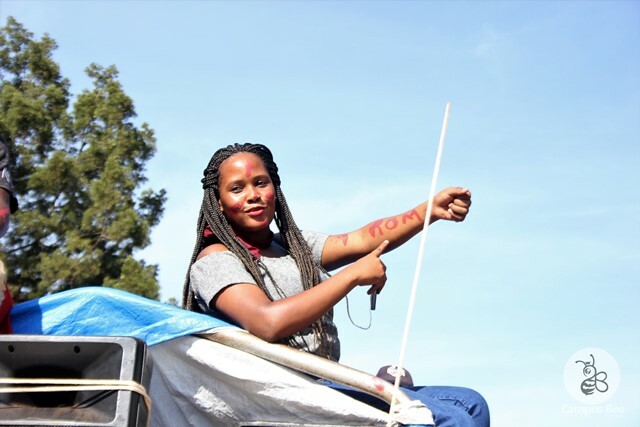 However, the aspirant was given a chance to join the rally, a move that sparked off chaos. 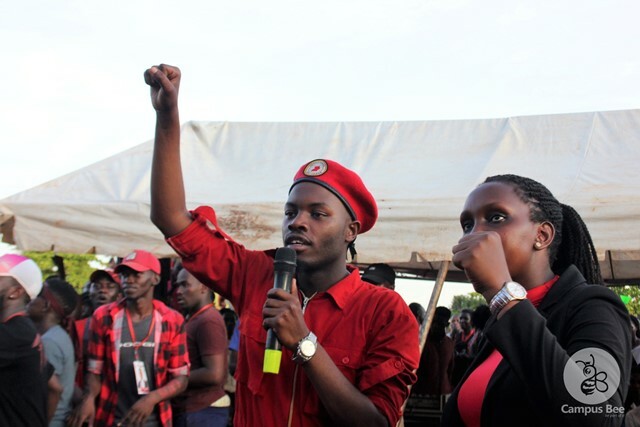 Fans from UYD (People Power) and FDC were spotted exchanging fists before disorganizing the whole event. 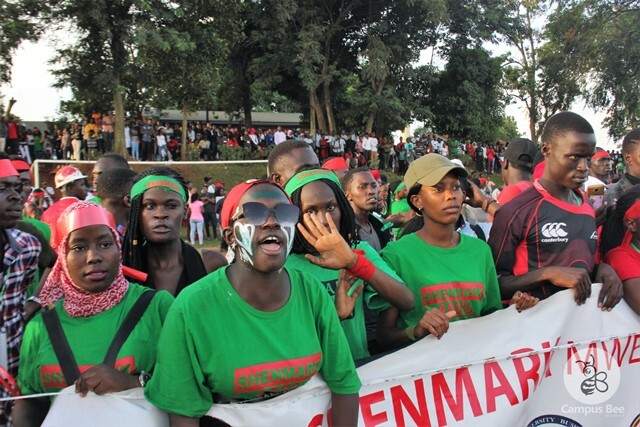 Anti-riot police later intervened to calm down the situation. 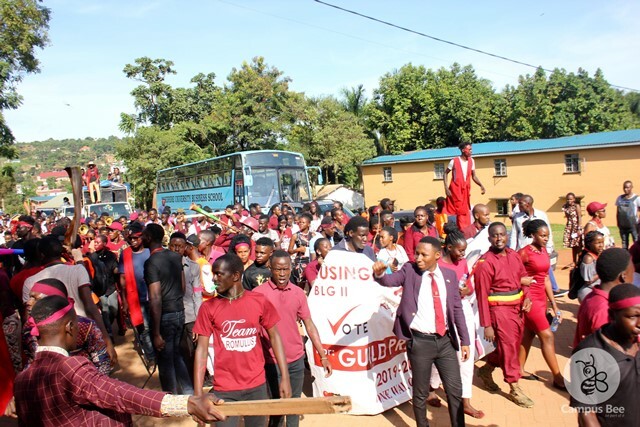 The university’s guild speaker was suspended from the campaigns in connection to yesterday’s chaos. 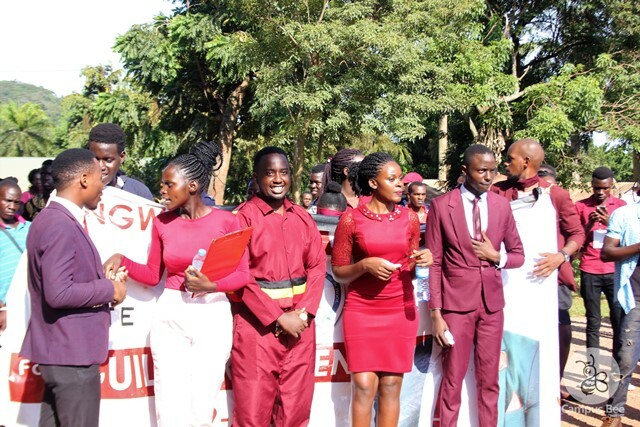 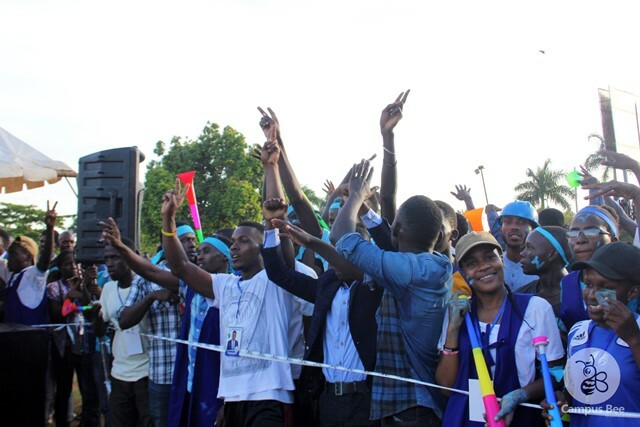 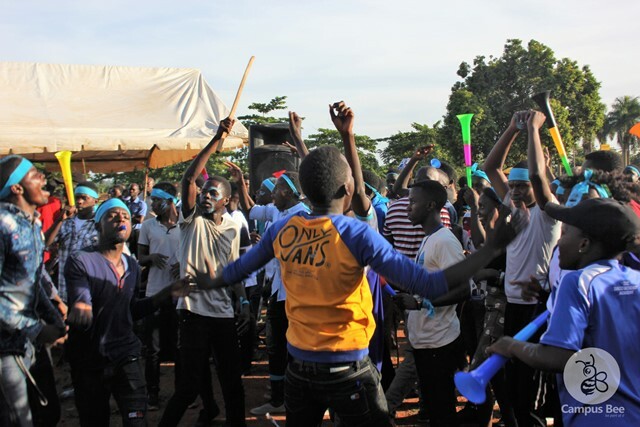 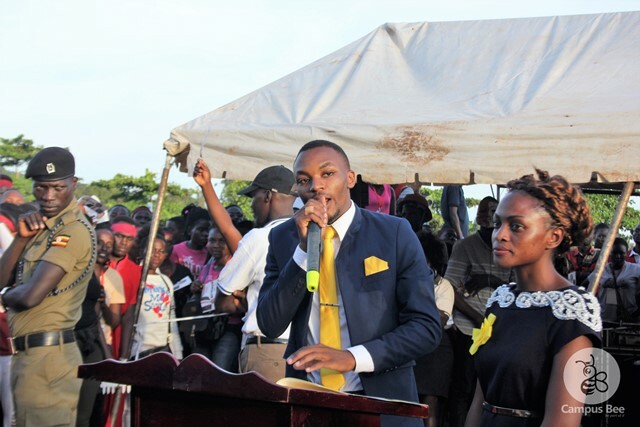 The situation was later normalized and the rally resumed smoothly as FDC’s Wisdom Ndinumukiza got an opportunity to address his manifesto to the students, other candidates followed.